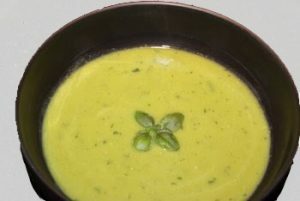 I just made this super fresh, incredibly tasty, unbelievably healthy soup the other day. It was so easy and fast I plan to make it again this week! (and have been looking at my calendar tyring to find a date just so I can invite friends over to make it for them too!). 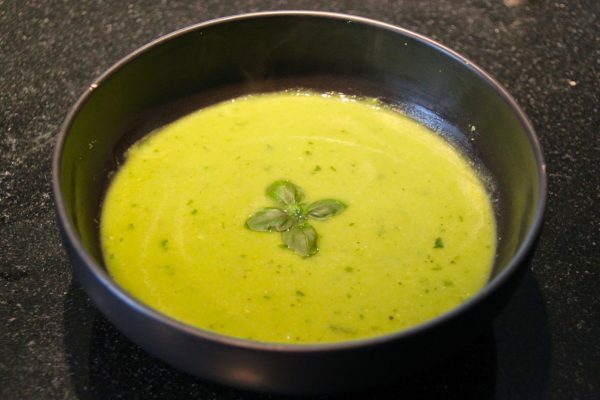 This is truly the perfect late spring/early summer soup! Note: If you don’t have an immersion blender, you can use a regular blender. Blend a few cups at a time, being careful not to splash hot soup!